Working Folder is another one of those concepts that is more complex than you would expect it to be. 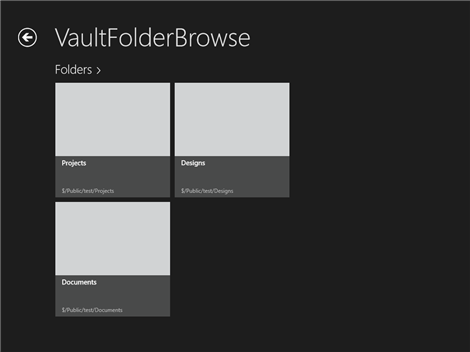 At it’s core, things are pretty simple, you map a local folder to a Vault folder. That way Vault clients know were to upload and download files to. The complexity comes from additional features that are built on or around this concept. I’ll try to detangle everything by listing the various features related to working folder and their related APIs. 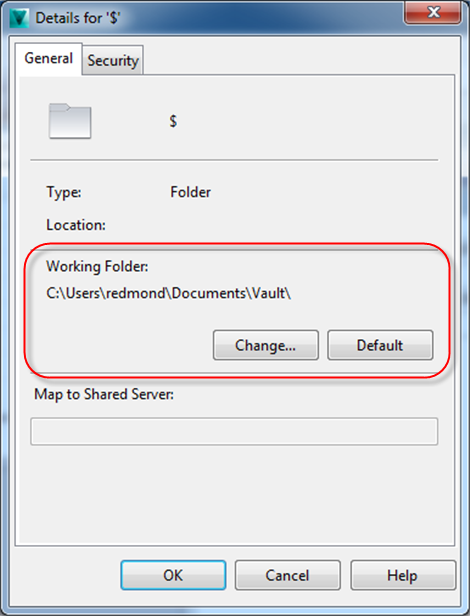 If you right-click on a Vault folder and select Details, you will see the local folder that corresponds to that Vault folder. By default, the $ folder is mapped to a folder in your user settings. Also by default, a sub-folder is mapped based on the parent folders mapping. You can override the default settings. So a sub-folder on disk may not necessarily correspond to the the parent folder on disk. In fact, you can even reverse the order so that the sub-folder in Vault is the parent file on disk. These settings are stored in an XML file on your local computer. The easiest way to access that data is through the function Connection.WorkingFoldersManager.GetWorkingFolder(). It takes care of all the calculations for you and gives you the same path you see in the Folder Details dialog. The Vault administrator can enforce a root working folder. This setting has the effect of overwriting any folder mappings set in the Folder Details window. An enforced working folder only gets applied to the root and all sub-folders are based off the root setting. When an enforced working folder is in effect, the user is prevented from setting a working folder in the Vault client. However, the API function Connection.WorkingFoldersManager.SetWorkingFolder() still works, so be careful. The next time the user logs in through the Vault Explorer client, it will overwrite anything you changed with SetWorkingFolder. Inventor ignores any mappings you set through the Vault client. Instead it uses the .ipj file to map Vault folders to your local folders. So the GetWorkingFolder() won’t help you when working with Inventor. You need to either read the .ipj contents or use the Inventor API to figure out what the mappings are. Since the .ipj file is critical for almost every Inventor operation, Vault has a special setting that you can use to locate the .ipj file. In the DocumentService there are two functions you can use to get at this data. GetEnforceInventorProjectFile() tells you if there is an .ipj file set to be used by the entire Vault. GetInventorProjectFileLocation() gives you the Vault path to the enforced .ipj file. If you have played around with the new Grid Control, you may have noticed that there is a column for the status icon. It’s a highly useful piece of information that is difficult to calculate. The good news is that you can leverage the 2014 API to give you this data, either in icon form or object form. The status icon is an example of a client-side property. It’s not something the server can do because it requires data from your hard-drive. There are many factors that go into the status image, including comparing the state of the local file with the state of the corresponding file in Vault. So, if you are looking for an easy way for your app to see what files are out of date, the status property gives that to you easily. You can’t search on client-side properties, since the server controls the search feature. You also can’t use any of the web service functions because those functions only deal with server-side data. You need to use VDF libraries (Autodesk.DataManagement. *) in order to work with client-side properties. If you are displaying the grid, the control itself will take care of displaying the icon. But if you want to use the icon in your own UI, there is a way to get it. It’s probably best if I just start with the code and then explain what the code is doing. Step one is to get the VDF PropertyDefintion for the status information. I do this by first calling Connection.PropertyManager.GetPropertyDefinitions and grabbing all file-related PropertyDefinitions. This is a VDF function, so I get back both client and server property definitions. The return object is indexed by ID and system name. So, it’s easy to look up a property if I know the system name. In the case of Vault status, the ID is defined in PropertyDefinitionsIds. The last step is to call GetPropertyValue for on my FileIteration object. The function returns an Object, which I convert to EntityStatusImageInfo. This is a very useful class. Not only does it give you the Image object itself, but it gives you a data structure describing the status. So you can, for example, write special logic for cases where the local file version doesn’t match any vault version (ie. edited out of turn). You can call GetImage to get an Image object that you can display in your UI. The algorithm for calculating that image is surprisingly complex, so it’s good do have a functions that does the calculation for you. Because this is the same code used by the clients, your icon will match the icon seen in Vault Explorer and the CAD plug-ins. Update: I've just been informed that Microsoft stopped using the word using the term Metro. The current term is "Windows Store Apps" or something like that. Last December, my Christmas present to myself was a Windows Surface tablet. In typical me-style, I decided to write an app for it. Overall, it was a pain getting the app to work. 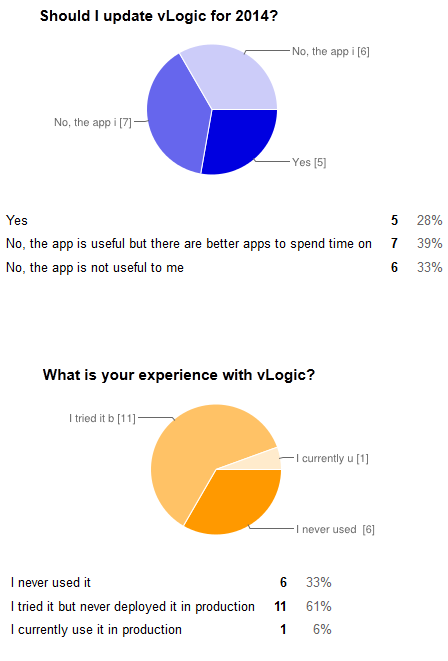 I expected it to be easy to write a Microsoft tablet app using Microsoft Visual Studio and the Vault API, which is built on Microsoft .NET. Alas, no, it was a pain to get the app working. The Connection object, the WebServiceManager, IExplorerUtils, none of those work for a Metro app. The Vault SDK DLLs require .NET libraries not present in Metro. If you want the Vault objects, you will have to go “old school” and set of the service references directly. It’s always annoying going from a full set of libraries (Winforms/XAML) to a subset of libraries (Metro). I understand why this is needed, but it baffles me why some things are left out. Android has a reduced set of Java libraries, but it doesn’t feel that way when you are programming with it. In a perfect world, Metro would be that way too. Anyway, to set up your Vault service objects (DocumentService, AuthService, etc), you need to add Service References in your VS project. You do this by right-clicking on your project and selecting Add Service Reference. If everything goes well, clicking Go should show you a list of functions for that service. Before you click OK, make sure you set the namespace to something useful. You are going to have multiple services for any given Vault app, so the namespace needs to be clear. 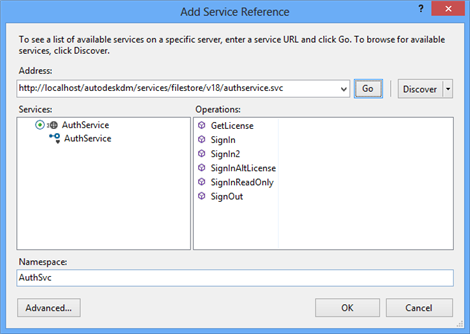 To log in you will need the AuthService, which is in the filestore URL path. VS generated the SecurityHeader class, but it didn’t hook it up to anything. The SecurityHeader is pretty important. It contains your user’s session information. Vault requires this information on almost every web service call. That’s how Vault knows that who you are so that it can apply permissions. If you can’t send the SecurityHeader, you can’t use the Vault API. Period. If you set a Service Reference in a normal VS project, the SecurityHeader is hooked up for you automatically. I have no idea why a Metro app is different. I had to spend most of my time, searching around on how to manually read/write header data on your web service calls. Since this is an auto-generated file, you need to be on the lookout. Actions in VS, like changing the project settings, may trigger an update of this file, which overwrites the change. When you call the Login function, you don’t get back a direct result. However, there is a SecurityHeader object in the header XML. You have to go through through some hoops in order to read that header in a Metro app. Actually, I had to go through the hoops; you can just copy my code. Save that securityHeader object. You will need it for all other Vault calls. Now that we are logged in, we can actually start reading/writing Vault data. On every call we need to set the securityHeader. It’s basically the same steps from part 2 but in reverse. In my sample, I wrap all the calls in a delegate. That’s it for now. I used up all my time figuring out the security header stuff, so the app itself isn’t much to speak of. I left out a bunch of things like multi-threading, logging out of Vault, error handling, cashing and useful functionality. I’ll leave it to you to figure all of those things out if you want to write a Metro app. VDF section on the Vault Wiki - There are about 8 articles here covering a variety of topics on the VDF. Vault 2014 - IExplorerUtil VB example - Sample code for how to use IExplorerUtil.UpdateFileProperties(), which allows you to update mapped file properties. It’s a useful function, but tricky to use. Wayne Brill, from ADN, provides sample code to get you up and running. Use | “OR” with DefaultAcquisitionOption to Download & CheckOut with AcquireFiles - It’s not obvious from the Vault documentation, but some of the enums can be joined together. You will need to know this if you want to download and checkout in the same AcquireFiles call. Get WebServiceManager in a Vault Event handler - Inside of a Vault Explorer Command event, it’s not very obvious how to start making calls to the Vault server. This article shows you a simple way to get a WebServiceManager. Updating References with Vault 2014 API - The guys at coolOrange show how you can use the VDF to trigger an update of references for your CAD files on disk. The VDF is supposed to automatically update references on download, but there are cases where you will want to do this step explicitly in your code. AU class handout - Empower users with custom Vault Explorer extensions - Dan Leighton takes you through a consulting project he did using Autodesk Vault and its API. This document perfectly bridges the gap between "getting started with the API" and "using the API on a real project." If you are integrating Vault and another system, you will probably want to use Persistent IDs. Like the name implies, these identifiers are persisted and will not change in the future. Persistent IDs came out in Vault 2013 as an undocumented feature. For Vault 2014, it’s now being officially supported. Before Vault 2013, there was no guaranteed way to store a reference to an entity. Let me give you some examples of non-persistent IDs to illustrate why a new feature was needed. File Name - Files can be renamed. Property Values - The values can be changed in new releases. Old releases can be purged. File ID and MasterID - These are the database keys, which may need to change if the database gets re-designed. This did actually occur during the Vault 3 -> 4 migration. That was 8 releases ago, but it could happen again. The Persistent ID feature is handled by 2 functions in the KnowledgeVaultService: GetPersistentIds and ResolvePersistentIds. GetPersistentIds gives you the PersistentIds for a set of entities. There are two types of IDs you can get: History and Latest. History gives you an ID to a specific version of an entity. Latest gives you a version independent ID, which is basically a persistent Master ID. If an entity is not versioned, then either type gives you the same result. Be careful when using History. If you have an ID to a version that gets purged, then that ID will not be able to get resolved. ResolvePersistentIds takes a set of Persistent IDs and gives you back the entity IDs and types. If the Persistent ID is a Latest type, then you get back the latest version of the entity. A History type results in a specific version of an entity being returned. Persistent IDs only work for entities, which are Files, Folders, Items, Change Orders and Custom Objects. Persistent IDs are unique for a given Vault, but not across multiple Vaults. Some non-entity classes, such as Property Definitions and Categories, use a System Name as a non-changing identifier. System Names are persistent in the sense that they cannot be changed by a user and will not change in future releases. So you can safely store these outside of Vault. System Names are not compatible with the GetPersistentIds and ResolvePersistentIds functions.